The Fopps are a NYC based, high energy band. Playing the music of the British Invasion, Garage Rock, and the birth of Psychedelia, they nail every detail, from the vocal harmonies, to fuzz guitar and swelling organ, to the go-go boots and ruffle collars. A typical set covers the revolutionary music of iconic bands, such as the Sonics, the Kinks, Paul Revere and the Raiders, the Zombies, and early Rolling Stones. 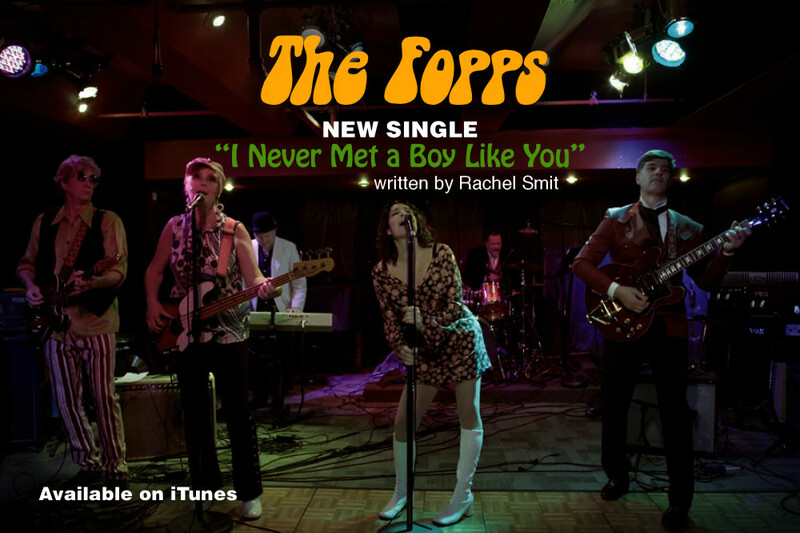 A Fopps' original, “I Never Met a Boy Like You,” is featured in the season two finale of the Amazon series, "The Other F Word." Like tight sets of live danceable retro rock? You will love the Fopps! The Fopps were originally founded in 2004 to pay tribute to the roots of garage-band rock and roll. The band featured current members, Peter Russell (guitar), JJ Kelley (vocals and guitar), Tom Avitable (drums) and Rachel Smit (vocals and percussion). In 2014, the band re-formed, adding seasoned musicians Cynthia Lamb on bass and vocals, and John Keim on Keynoards and vocals. The band plays as a featured act at the legondary Bitter End in NYC, as well as other venues in the City and on The Road. Be sure to "like" us on Facebook! (www.facebook.com/thefopps)! 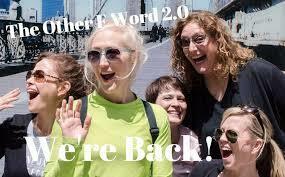 The Fopps music video, featured on Season 2 of Amazon Prime's "The Other F Word" (closing credits), and playing behind the Season 2 trailer. 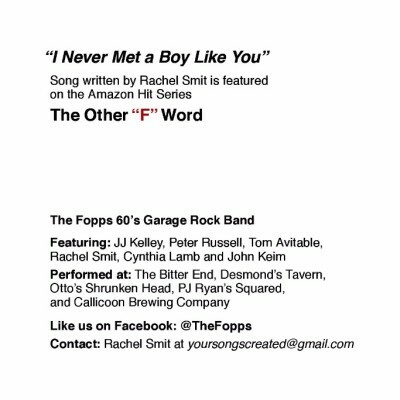 Written by Rachel Smit, performed by the Fopps at Smash Studios, NYC, Scott Corsica Producer, Ben Wolfe Videographer, Jon Smith Engineering. Back at the Bitter End! The Fopps bring their high-energy rock-n-roll show back to the Lower East Side!.